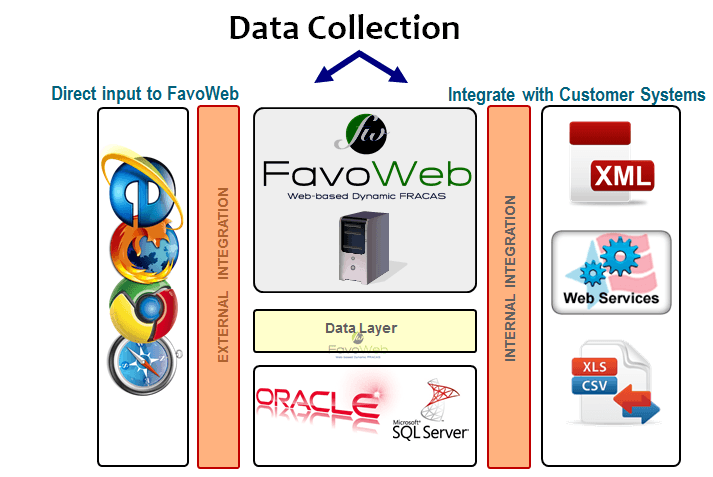 FavoWeb application had been designed to interface and exchange data with multiple legacy systems, ERP’s, PDM tools. FavoWeb has built-in capabilities to exchange data (Failures, RMA’s, Incidents, operation time meters/clocks, maintenance and repair actions – removal and installations etch) with various databases and tools utilized by your organizations and/or by your customers. 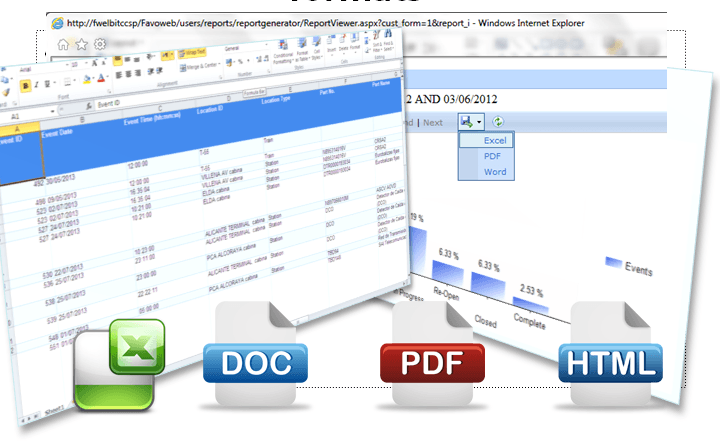 - Batch File Transfer (Import/Export) with data validation conditions, post processing and scheduling for automatic data exchange.